We have had a bit of a run on these HP AJ763B HBAs along with questions on specs and compatibility, so we are rounding up all the answers and posting them here in hopes that it helps someone else who is doing research. 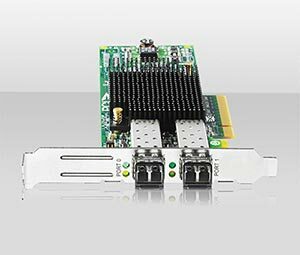 These HP 8Gb PCIe FC HBAs bring higher performance to your datacenter with twice the I/O performance of 4Gb HBAs. The HP 8Gb HBAs are backward compatible with 4 and 2 Gb storage networks and help storage intensive apps such as backup, database transactions, virtualization, and media transfers with better performance. The AJ763B is the functional equivalent of the HP AJ763A. The “B” version is RoHS-compliant and the “A” version is not. Hope this helps and if you need any more information, we are happy to help.